Matadi, a Western lowland gorilla from Paignton Zoo Environmental Park, has moved to Howletts Wild Animal Park in Kent to start what conservationists hope will be a breeding group. 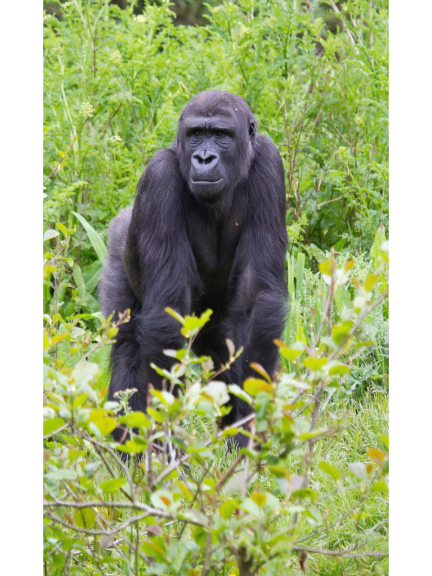 Born on 23rd March 2003, Matadi was seven years old when he arrived at Paignton Zoo from Twycross Zoo. He made the 5 hour, 300 mile journey to Kent in a special travelling crate loaded inside a secure van. He was given a very special treat of banana to help the journey pass smoothly. There are no plans to bring new young gorillas to Paignton Zoo at this time. The remaining gorillas at Paignton Zoo are 34 year old Pertinax, Kivu (13), N’Dowe (12) and Kiondo (13). Paignton Zoo Environmental Park is a registered charity. For more information go to www.paigntonzoo.org.uk or ring 0844 474 2222.